• Multiple reports have Arsenal bidding $10M for Mikel Arteta of Everton. Solid move for them and Toffees where he was never quite the right fit. • Sky Sports reporting that Fulham are going to secure the services of CONCACAF superb star Bryan Ruiz out of FC Twente for $10.6M. That would be the largest transfer for Fulham in at least 3 years (Andy Johnson) and perhaps one of the top two or three all-time at The Cottage. • Your guess as good as ours on Clint Dempsey. I have no problem eating crow if the lone, single, only, exclusive, whatever-it-is report on Dempsey to Arsenal comes true and it was filed by the broken clock that is Goal.com. Will gladly do it publicly. That said a Dempsey buy would be out of character for the London side. • MLS Soccer’s Greg Seltzer nailed a few reports. Eric Lichaj would have been Leeds bound if not for a hip problem that may keep him out of action for up to four months. Maurice Edu had a couple of relocation packages turned down and remains at Rangers. Ah the transfer day deadline looming yet again. A fast-paced day of footie rumors where 1% of all dreams come true. You add the rumors and deals below. We’ll put them up here with a note. The skinny: Yes that sounds just about right these days. The skinny: Don’t think this gets done. Or does it? A needed move by the Emirates; but what’s the fee? The skinny: $25M doesn’t get it done. Tells you just how valuable in this market climate that kid is. That was my initial reaction to reading that Michael Bradley was joining Chievo Verona in Italy in an undisclosed move that was announced today. (The deal is rumored to be for two years). Not the place I was predicting when hearing that Bradley was angling for a move to England with, preferably, the chance to play on those European nights that everyone dreams of. Instead, what he got is neither and I’m left scratching my head. Bradley has his cake and can eat some too. 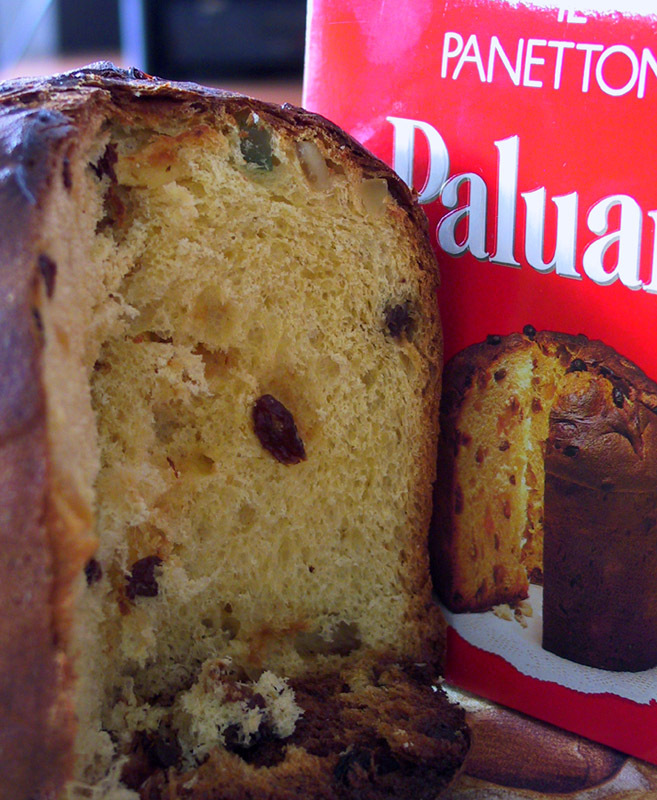 Chievo, owned by the Paluani Cake Co. The move makes a great deal of sense for the Chievo. For the relatively low price of 2m Euros, they get a young, internationally-experienced midfielder that can slot in almost immediately and play loads of minutes – especially with midfield stalwart Kévin Constant and his 32 appearances last season moving on to Genoa. In Bradley, Chievo also gets a player that won’t necessarily need a long time to fit into their style of play. Chievo, under manager Domenico Di Carlo, tend to line up in a 4-4-2 formation with a midfield diamond. With the departures of Constant and Gelson Fernandes (to Leicester City) there are minutes that need to be filled and Bradley can do that either from the defense midfield position or the trequarista – a role similar to the one he played during his time in Holland. I see it more being the former because he doesn’t fit the role as used in Italy (think Totti, del Piero, etc. someone who can create on their own) and it has been so long since he’s played it consistently that he’d be better used in a more familiar deep-lying, holding position. On the other hand, this is a lateral move, if that, for Bradley. He moves to a provincial club in the north of Italy in a suburb of Verona with a population of about 4,500. I only mention this as a positive for him. Had he moved to Napoli as was rumored at the beginning of summer, he’d be in a city with close to one million residents, a large percentage of them argent supporters. He would also be dealing with a club with Scudetto aspirations as well as participation in Champions League. While I have no doubt that is exactly what he wants, I think it just isn’t in the cards for him yet as he hasn’t been exposed to that sort of scrutiny in either of his previous stops. In Chievo, things will be less pressurized for his first stop in Serie A. The 11th place finish that the club had last season is about what supporters expect. Anything higher is considered great. Anything lower…well, just don’t make it too low. Tactically, Bradley’s positioning and awareness should also benefit from playing in Italy as Chievo will be underdogs in a good number of their matches which will put added emphasis on staying in position and being sound defensively – both items that will translate well to the national team. Professionally, I can’t see him getting much from this move. He will not be battling for a European spot and, to be honest, will be closer to the relegation zone. Playing against Milan or Inter at the San Siro in the Sunday night fixture with the eyes of the nation, and world, on you is what makes playing in Serie A special. Playing a Saturday noontime fixture on a mud-covered pitch in Lecce in January isn’t. The only question I have remaining is what the other clubs from Germany, England, Spain, Russia, Belgium, and Greece that were interested in Bradley, according to his agent. Okay, suspension of disbelief for just a second here. 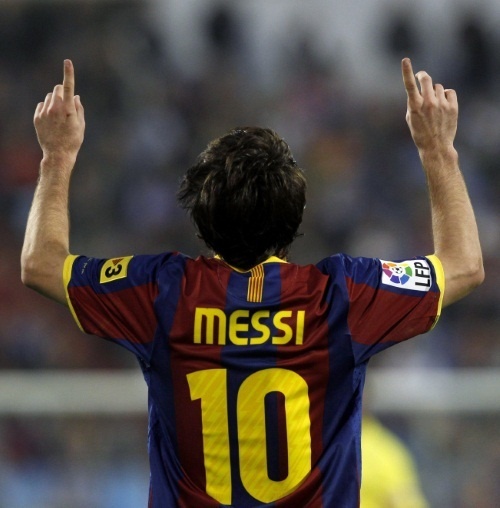 Not sure why he's pointing at the sky here.....he's the deity on the pitch. Also, let’s forget about a little thing called the Champion’s League. I’m taking a fleeting glance here at another Lionel Messi Master Class here as Barca digs a heal into the necks of the Yellow Submarine’s fans Yesterday it was Manchester United with a clinical dismantling of Arsenal and Manchester City running rampant over the Rednapps. Given Joshua Wells article on ECA and UEFA and let’s just say Champion’s League–bear with this stretch–rewards teams only really when they score on the road, what about–I told you this was a stretch–a global super league? Who doesn’t want to Real-Barca each week or Manchester United vs. Man City. A ginormous war of attrition where each weekend there is no weakling. Just for fun. Who would be in that league? Let’s just eschew “selection criteria” for a second. Each year 10 teams come into the GSL. They give up their current league affiliation and just play themselves for enormous tv contracts and all the fame (infamy for some) in the world. Here’s the catch. Two teams are relegated; two teams replace them each year and the promoted teams–however they come to be–get the revenues that the relegated teams were supposed to from the year earlier. Who’s in that league *this year*? Who’s getting relegated from it? Would this guy be leading the GSL in scoring right now? Who’s on the outside looking in? Who gets relegated? Imagine the player movement. Ok, headed over to bribe Sepp. » Will Deuce Fly the Coop? Sky Sports says La Liga’s Sevilla is interested in US national Clint Dempsey. » Having his cake and eating it too? Multiple reports (MLSSoocer.com and Italian dailies) have Michael Bradley headed to Chievo Verona, a mid-table side in Serie A. » Would Eddie Go? (Surfing analogy there) Former almost-MLS man Eddie Johnson rumored to Aberdeen of the SPL. Sounds about right. SPL has trouble attracting talent, but still has more dollars than MLS. • EPL: Just in time for Bolton? Stu Holden will get off his arse finally and throw down a match; the first since being splintered by Man United’s Johnny Evans last campaign. Holden will play with the Bolton reserves tomorrow. Oh my how the senior side needs him back. »In terms of Arsenal, disorganization because of largely not-Premership-talent backline and extremely poor free kick management–among other things–led to their downfall. The bad for Emirates fans? Wojciech Szczęsny showing he’s not quite the class necessary at Arsenal. Cue keeper jokes. The silver lining? Three things. First, Robin Van Persie continuing to play hard despite the lopsided scoreline. Seems the captain’s armband is at least wearing off on him. 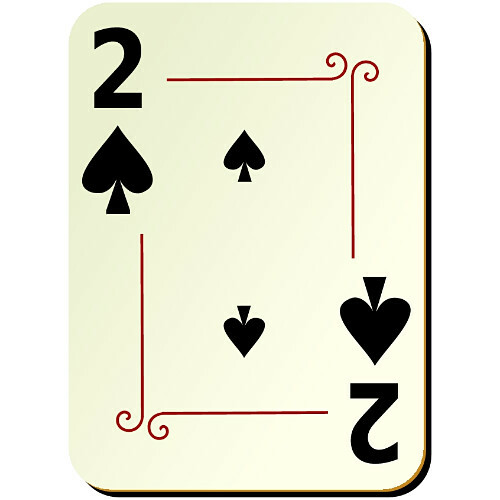 Second? Theo Walcott showing the best feel for the game in awhile. He had smart runs and took smart chances. Third? Tomas Rosicky seeming to slot in very nicely–again–in Fabregas’s old quarterback role. »For Spurs, Luka Modric looked everything Chelsea expected him to be. Of course, there was this shocking and revealing article on Carlos Tevez last week. What’s interesting about Manchester City is that for as much as club’s look to them to drive up the price or pay a premium on transferred-in talent, the inverse happens when players are transferred or want to be transferred out of City. With Manchester City, they don’t need the cash–let’s see Financial Fair Play actually materialize–because they have boatloads of it. Thus they can negotiate a premium or at least fair value themselves for a player transferring out because if they don’t like the offer (Roque Santa Cruz) they can just park the player on the bench. A lot of questions as to why a few players weren’t brought into the US national team fold. Namely: Josh Gatt, Herculez Gomez, Omar Gonzalez and Brad Davis. » Herculez Gomez: Not the pivot (see Teal Bunbury) striker that Jurgen Klinsmann wants. As evidenced by Edson Buddle’s work against Mexico, it sure looks like the new manager is looking for a true post-up player. 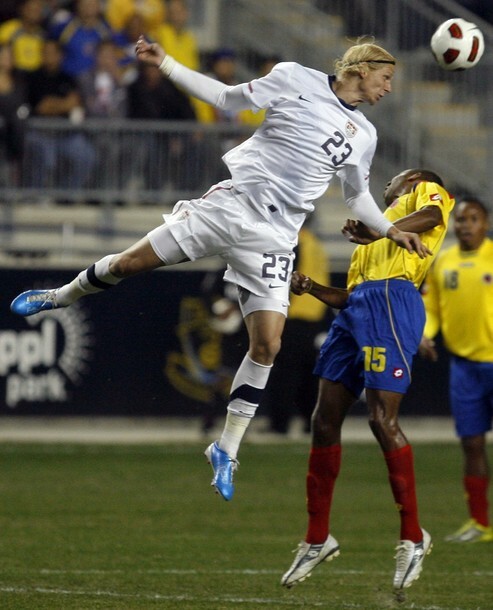 » Omar Gonzalez: Good question and no idea. Heath Pearce pulled up lame this past weekend. Might Gonzalez get a call? The one thing about Gonzalez, and George John and Chad Marshall is they all play “the big guy” in the back. A slot that Clarence Goodson inhabits and where Michael Orozco made some noise a few weeks ago. » Brad Davis: Has to be his age at this point. If you caught up with TSG on Twitter yesterday, you read our rant on Davis. Thirteen assists for Davis. He’s played with a rotating cast of forwards. He’s responsible for Brian Ching scoring from the run of play with his feet! And he’s got the Houston Dynamo five points out of first place in the East without an attacking midfielder taking any pressure off him. His service is solid. He’s calm on the ball and he’s consistent. But for me, a consumate professional, a tireless worker, wheels and great service is just part of the package of Brad Davis. Underrated, year-in and year-out. This is a lifetime achievement award for the Jude Law look-a-like. And get this final stat from OptaJack: Brad Davis has created 84 scoring opportunities thus far, 33 more than the next closest player in MLS. His candidacy is right up there with Thierry Henry’s and Brek Shea’s in the MVP race. MLS media heads, pay your respects. Tim goes for the Toffees today.. Sometimes work calls and you can’t add fresh content on a Friday. Sometimes Mother Nature calls and prevents the New York Red Bulls from avoiding possible embarrassment at home to the Los Angeles Galaxy…..and prevents Jorge #PERLAZA from making DC Disunited. And the Barclays is live right now with Wolverhampton at present top of the table. First, no Michael Bradley–yup! But no Jermaine Jones either. Some surprises for sure. Namely a Jeff Larentowicz call-in, no look-see for Brad Guzan and young Fabian Johnson taking a shot at being the next German-American star. Just call them the German bookends for the next generation with Timothy Chandler and Johnson in camp. Teal Bunbury finally gets some run as well.